As the fierce race is ongoing for the upcoming local election all parties are running to determinate its mayors of districts, city and metropolitan cities. A long-standing way of mayoral candidate search for has finally concluded and Tunç Soyer becomes the mayoral candidate for western city İzmir municipality Republican People’s Party (CHP) for the upcoming local election which is scheduled to be held on 31 March 2019. After determination of final candidates in the committee, Party Caucus meeting kicked off at 15:00 Turkish Local Time (GMT:13:00) on Sunday and a long hour of debates lasted in the late hours of the night. The name of Tunç Soyer was declared by party members after CHP party committee ratified his candidateship at about later of 01:30 local time on Monday. The name of the Tunç Soyer, who has been chosen as mayor for the Seferihisar district of the İzmir and continuing his duty at the moment, presented as possible candidate names to Central Executive Comity. After determination of final candidates in the committee, Party Caucus meeting kicked off at 15:00 Turkish Local Time (GMT:13:00) and a long hour of debates lasted in the late hours of the night. Being the son of one of the masters of the September 12, 1980, military coup Colonel Nurettin Soyer who has a bad reputation for the torturer colonel judge. The name of the Nurettin Soyer infuriated many nationalist and leftist hardliners who harshly criticized the CHP management. He mainly is known as his harsh attitudes towards the ultra Turkish nationalists know as Grey Wolves. Meanwhile, party grassroots also disturbed when his mentioned as a candidate. During his martial law judge term, he had many scandalous implementations against Grey Wolves. Whether Nationalist Movement Party (MHP) Leader Alpaslan Turkeş entered the court in 1981 all members of the Grey Wolves had recited Turkish national anthem as a reaction to the tortures of Nurettin Soyer. Born in Turkish capital city of Ankara he graduated Bornova Anadolu High School in Izmir and Ankara Faculty of Law respectively with high success. Then he got a master degree from Webster College in Switzerland. During his university term he worked as assistant director in Ankara Art Theatre and as a correspondent in Turkish News Agency. Following completed his education, he worked in the tourism sector for 5 years. While he was executively directing 7 touristic facility which among them Özdere Sultan Hotel and Gümüldür Submarine Hotel he decided to make a tourism investment through a family company which was established by him. 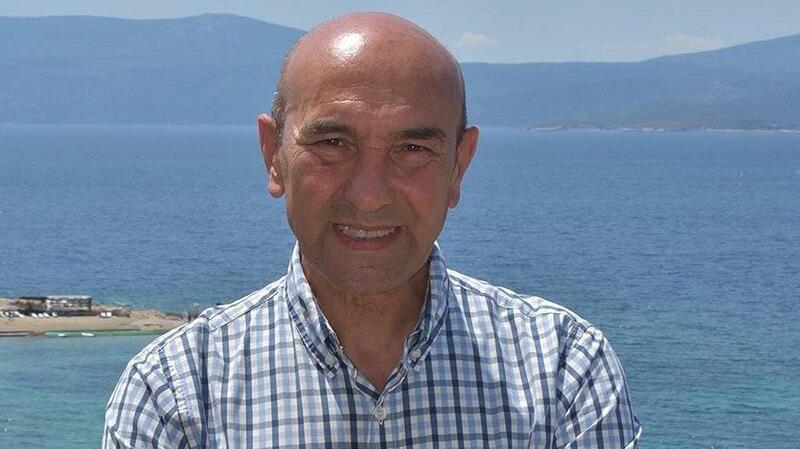 He put Teos(French) holiday village into operation a tourist destination in 1991 in Sığacık, in the southwestern Turkish city of İzmir and he operated it over 9 years. He attended European Union’s (EU) post graduate program in Social Sciences Institute of Dokuz Eylül University in 2000 and wrote a thesis on “COMENIUS”, an educational program of EU. He presented a report about how financial resources from EU could be supplied to İzmir, and presented his report Ahmet Priştina who was İzmir Metropolitan Municipal Mayor those years. Following Priştina’s offer, he started to work as an advisor Priştina. Following Priştina he worked as an advisor of Aziz Kocaoğlu who had begun a İzmir Metropolitan Municipal mayor after Priştina. After his advisor term, he worked as Foreign Relations Director and General Secretary position respectively. He was appointed General Secretary of Expo 2015 İzmir Orientation and Executive Board, which established in 2016 by the Turkish Council of Ministers. He developed relations of ministries between state organization and international organization during the three year of İzmir’s candidateship to Expo for which around 20 million of Euro budged was used. He used his carrier and experiences for İzmir’s Seferihisar district which accepted by him as a home district. Turkey’s third-largest city with a population of 4.5 million and is proudly liberal and deeply cultured. İzmir is a metropolitan city in the western extremity of Anatolia and the third most populous city in Turkey, after Istanbul and Ankara. İzmir is also one of the biggest trade hubs of Turkey. Garlanded around the azure-blue Bay of İzmir, it has been an important Aegean port since ancient times, when it was the Greek city of Smyrna, and its seafront kordon (promenade) is as fetching and lively as any in the world. The city’s rich and fascinating heritage reflects the fact that it has been the home of Greeks, Armenians, Jews, Levantines and Turks over the centuries. While not as multicultural these days, it still has resident Jewish and Levantine communities and its unique and delicious cuisine attests to this. Foreign visitors here are largely limited to business travelers and tourists en route to Ephesus. The reason for this is a mystery to us, as the city is home to compelling attractions including one of Turkey’s most fascinating bazaars, an impressive museum of history and art, and a local lifestyle as laid-back as it is welcoming.